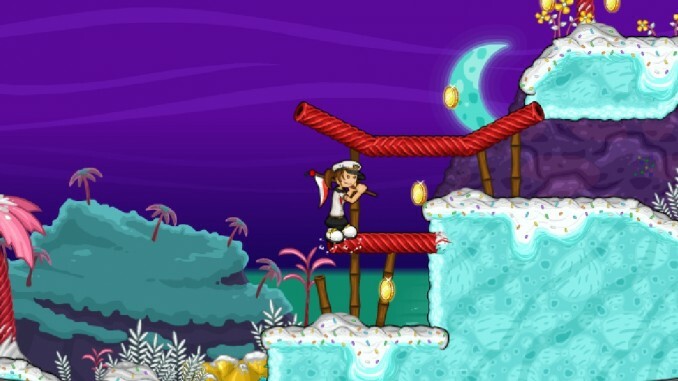 When Sundaes Attack is the third game in the series of Papa Louie adventures, this amazingly exciting game comes loaded with difficult challenges, impressive graphics and a range of achievements that will make any individual with a sweet tooth go crazy. 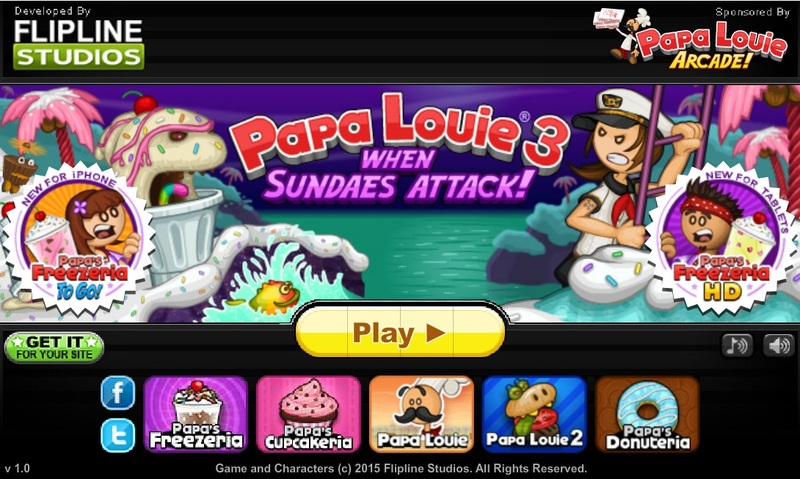 The game shows Papa Louie and his customers in a huge distress after being attacked by angry Sundaesauruses and fierce candies; your goal would be to save the chef and his customers from the gruesome desserts. 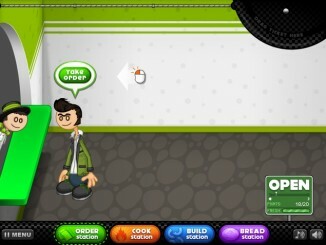 The main antagonist of the story is Radley Madish. 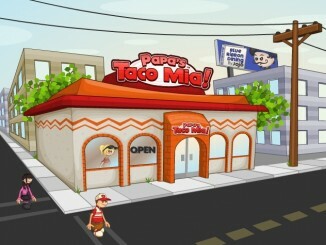 We first came to know about his existence in Papa Louie 2. 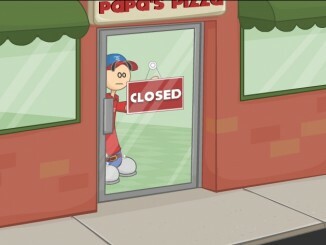 When Burgers attack, he comes back to destroy Louie’s business even in Papa Louie 3. 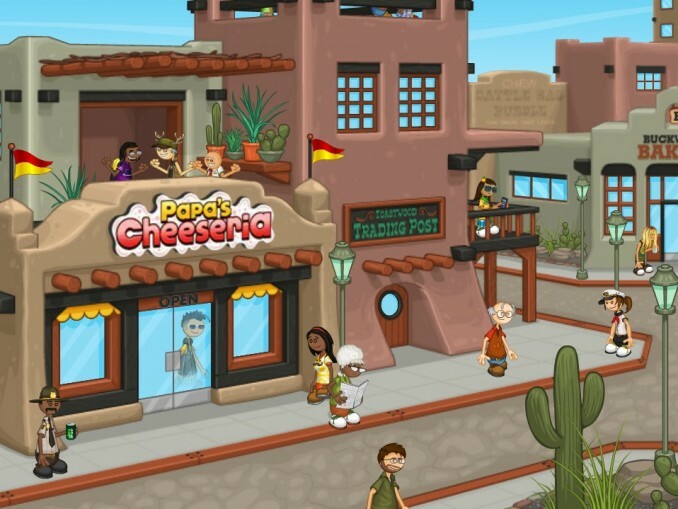 When playing Papa Louie 3, you will get the opportunity of using every customer you save, as a character in the adventures of the next levels. Each saved customers comes equipped with a weapon. Area info: Click on the Area Info button and you will be directed to a page with detailed information on the level of the game you are in. Some of the facts this page would present include how many customers can be rescued, your score, total time spent at that level, how many warp keys you have collected, the number of gold coins you have obtained, and so on. Badges: A click on the Badges button will take you to a panel where all your achievements are enlisted. This panel will tell you which achievement badges have been unlocked by you and what must be done for obtaining the badges. The game has a total of 48 badges, some of which are extremely difficult to achieve, while there are some that can be obtained comparatively easily. Baddies: Click on this button to know what kind of baddies you have come across so far. The page will also tell you the number of baddies you have slaughtered from each category. 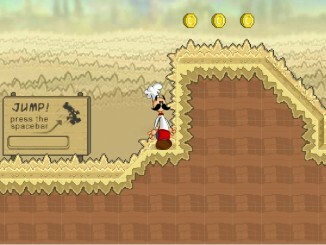 Help: Click on the Help button whenever you to look at all the tips you have received when playing the previous levels of the game.